Welcome to Automated Merchandising Systems, or as we’re better known, AMS. 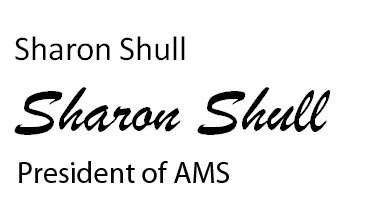 I’m Sharon Shull – President, and I am delighted you’re visiting our web site.We founded AMS in 1997. We build our vendors to last and to be reasonably priced. Our customers can tell you how rugged and reliable our vendors are, and they’ll also tell you about our people. I promise you this — Our people are special and they will take great care of you. AMS is a privately owned company where employees know the names of the people they work for and they are treated like family. It’s why we are known for our dependable and friendly customer service. AMS’ demonstration of customer service starts when you call here to our plant and offices. Your call is never answered by automation. It’s always answered by a helpful AMS employee. If there is a need to be fulfilled, your need will be a priority. Your situation will immediately be directed to the appropriate parties and they will work on your behalf until a solution is found and implemented. If there’s ever anything I can do for you, please call me. Know and understand your employees. Do your very best for both and succeed.